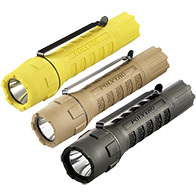 Streamlight’s Tactical Hand-Held Series personal lights are the most sophisticated and reliable tactical lights available. They’re designed to give users a clear advantage when confrontations occur in areas of poor light or limited visibility. They are compact and lightweight, yet powerful and precise with the versatility you need to face any situation. 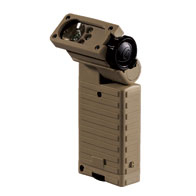 The lithium powered Streamlight Night Com combines Streamlight’s new C4 premium LED Technology and MIL STD LED Night Vision protection. 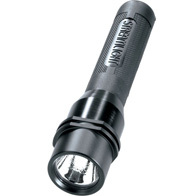 This flashlight features the C4 premium LED technology, 2 to 3 times the output of previously available power LEDs. The Streamlight NightFighter® X Flashlight features a C4® LED for extreme brightness and illumination combined with an adjustable polymer grip ring for a sure grip. These lightweight lighting tools are made of a tough, durable polymer. Whether you're looking for a handheld flashlight or a right-angle model that can clip onto gear or a headstrap, the Streamlight™ PolyTac Series has a bright light to fit your needs. The Streamlight Scorpion® Flashlight is a high performance CR123A Lithium battery-powered flashlight with a rubber armor grip sleeve. 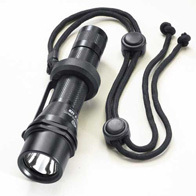 The Streamlight Sidewinder Flashlight is a compact, high performance, multi-source LED flashlight with C4® LED technology. This flashlight has been engineered to meet a variety of hands free task illumination requirements with various color LEDs operable at varying outputs and runtimes. 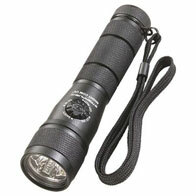 The Streamlight TL-2® Flashlight is a high performance CR123A Lithium battery-powered flashlight. Removable spring steel pocket clip and adjustable wrist lanyard included. 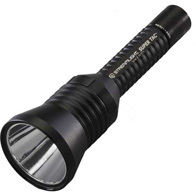 The Streamlight Super Tac® Flashlight is an extremely high performance CR123A Lithium battery-powered flashlight. 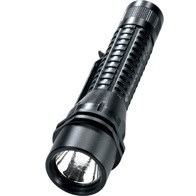 This flashlight features C4® LED technology for extreme brightness and long-range illumination combined with a push button momentary or constant "on" tactical tail cap switch for one handed operation.